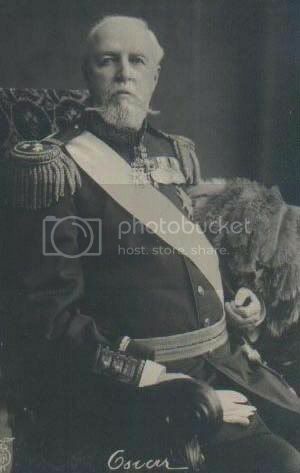 This thread is about King Oscar II Frederikof Sweden and Norway (January 21, 1829 - December 8, 1907) and Queen Sofia Wilhelmina Mariana Henrietta of Sweden and Norway, nee Princess of Nassau-Weilburg (July 9, 1836 - December 30, 1913). Note that all pictures posted by me in this thread are free of copyrights, unless stated differently. 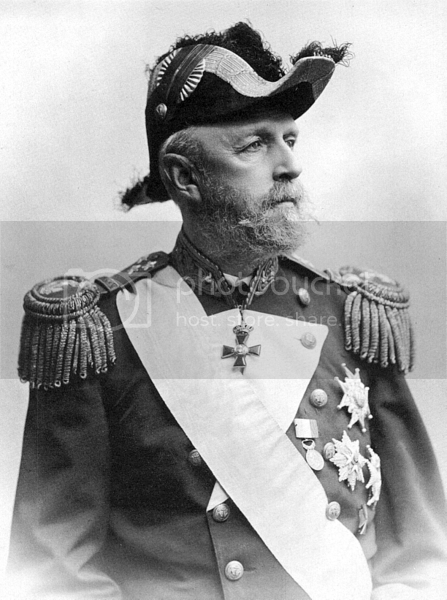 King Oscar II of Sweden and Norway (January 21, 1829 - December 8, 1907), born Oscar Frederik, ruled Norway from 1872 until 1905 and Sweden from 1872 until his death. 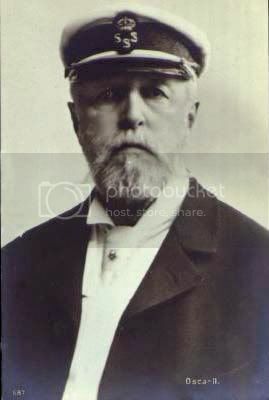 The third son of King Oscar I of Sweden and Josephine of Leuchtenberg, he was a descendant of Gustav I of Sweden through his mother. 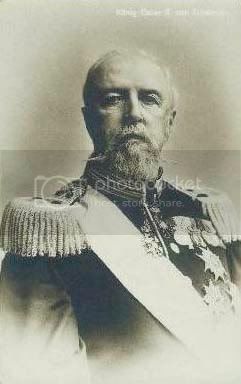 At his birth in Stockholm, Oscar Frederik was created Duke of Östergötland. 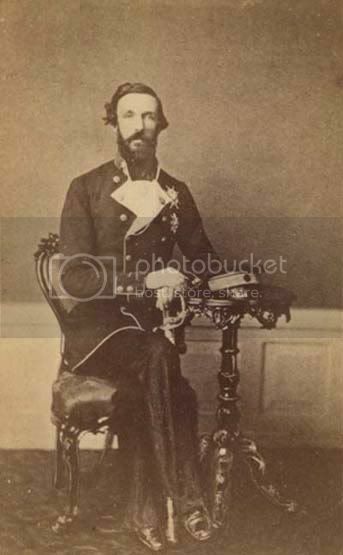 He entered the navy at the age of eleven, and was appointed junior lieutenant in July 1845. Later he studied at Uppsala University, where he distinguished himself in mathematics. 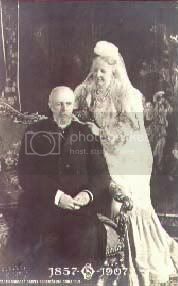 On June 6, 1857 he married Princess Sophia Wilhelmina, youngest daughter of Duke William of Nassau. 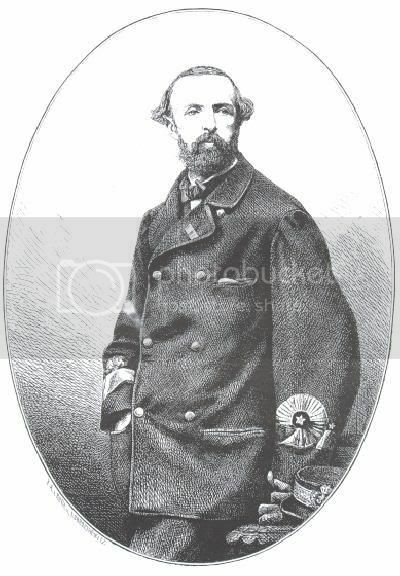 He succeeded his brother Charles XV, on September 18, 1872, and was crowned as king of Norway in the Nidaros Cathedral in Trondheim on July 18, 1873. 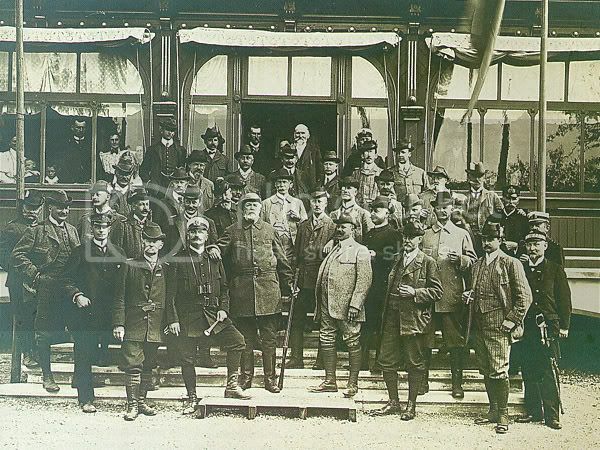 At the accession he adopted as his motto Brödrafolkens väl/Broderfolkenes Vel ("The Welfare of the Brother Peoples"). 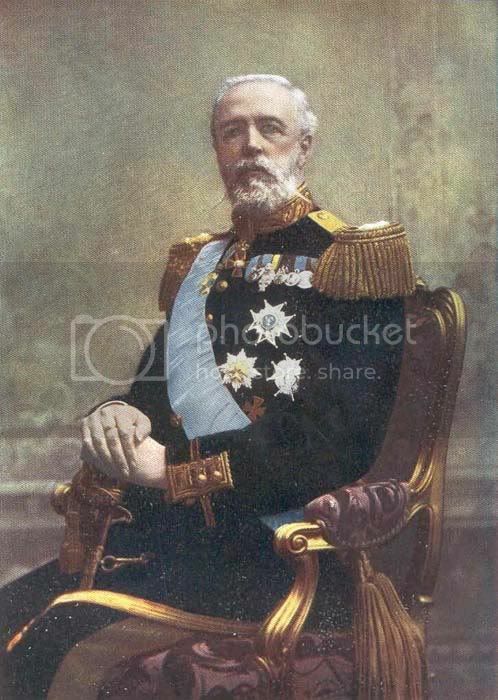 While the King and the Royal Court resided mostly in Sweden, Oscar made the effort of learning to be fluent in Norwegian and from the very beginning he realized the essential difficulties in the maintenance of the union between the two countries. 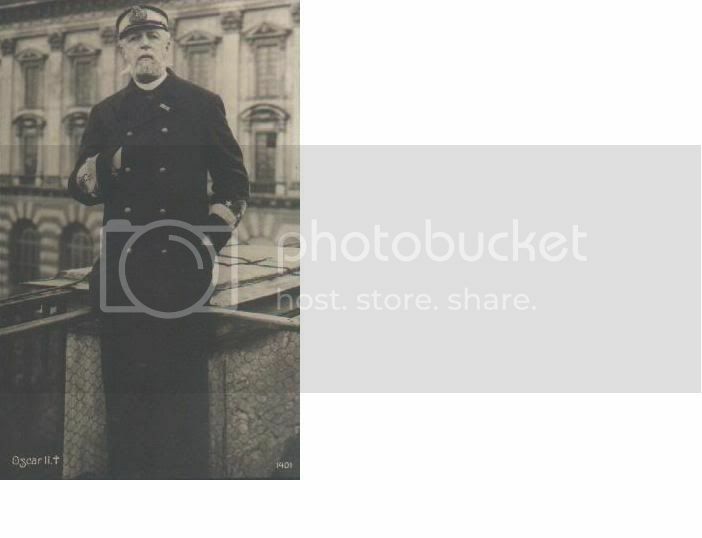 The political events which led up to the peaceful dissolution of the union between Norway and Sweden in 1905 could hardly have been attained but for the tact and patience of the king himself. 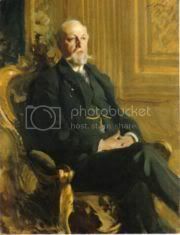 He declined, indeed, to permit any prince of his house to become king of Norway, but better relations between the two countries were restored before his death, which occurred at Stockholm on the December 8, 1907. 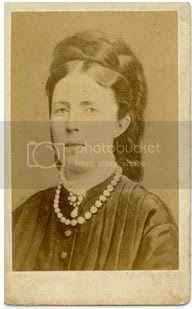 Princess Sofia Wilhelmina Mariana Henrietta of Nassau, (July 9, 1836 - December 30, 1913), was Queen consort of Sweden and Norway. 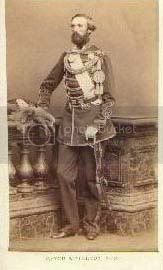 She was a daughter of Wilhelm, Duke of Nassau and his second wife Pauline Friederica Marie Princess of Württemberg. 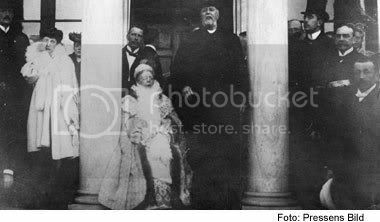 The marriage was the first in the Royal house that was not completely arranged. 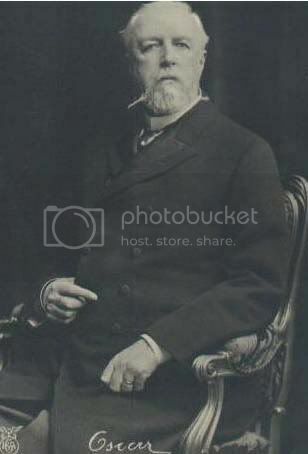 Though the match was considered very suitable, the couple was allowed to make their own decision on the basis of their feelings, and generally, their marriage was considered happy. 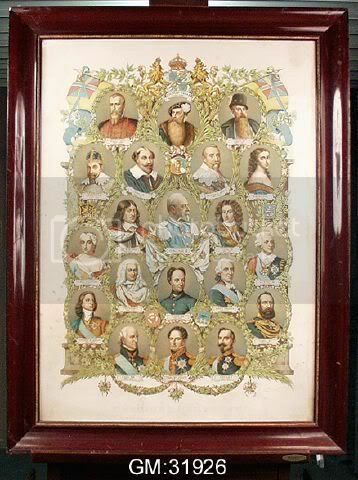 Sophia was received with enormous enthusiasm when she arrived in Sweden in 1857 because the then crown prince and his consort were not expected to produce an heir. 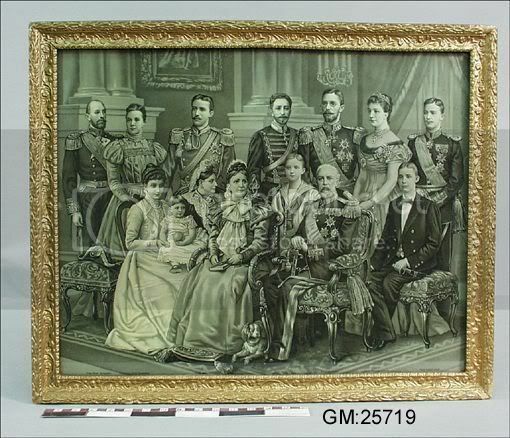 Sophia was therefore de facto crown princess, though she did not receive the title officially until 1859. 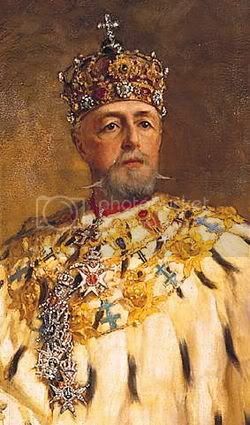 Read more about King Gustav V in this thread at the Swedish historical subforum. 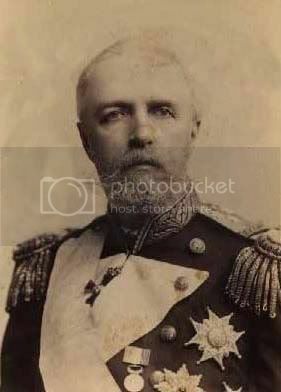 The couple´s second son was Prince Oscar Carl August of Sweden and Norway (Drottningholm 15 November, 1859 - Stockholm 4 October, 1953), after his marriage to Ebba Henrietta Munck af Filkila (Jönköping 15 March 1858-Stockholm 16 October 1946) he lost his Swedish titles and became Count of Wisborg. 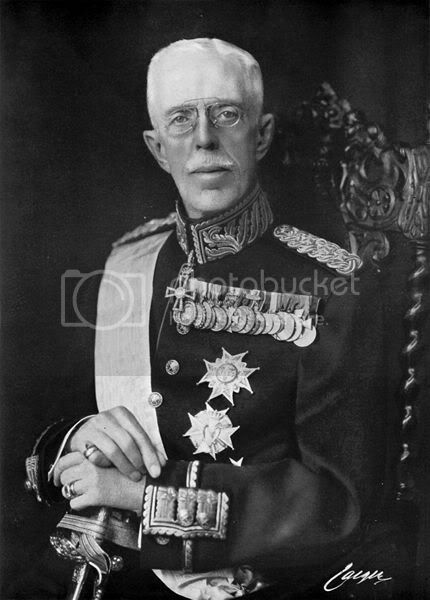 Read more about Oscar Bernadotte, his wife Ebba and his descendants (including the famous Count Folke Bernadotte af Wisborg) in this thread at the Swedish historical subforum of TRF. 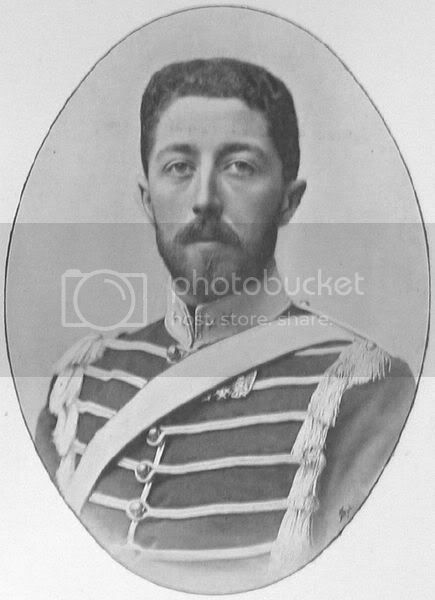 Read more about Prince Carl, his wife Princess Ingeborg and his four children in this thread at the Swedish historical subforum of TRF. 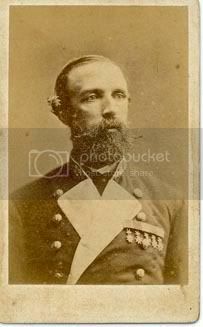 Read more about Prince Eugen in this thread at the Swedish historical subforum of TRF. 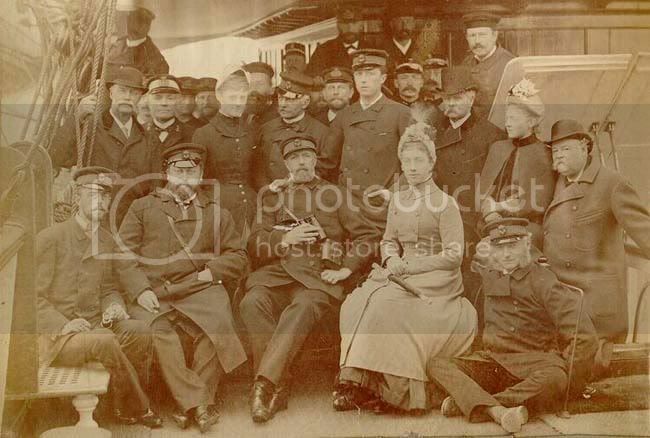 From Getty images, the Swedish RF, Oscar II is the old man that is seated, Queen Sofia is the 2nd lady from the right. 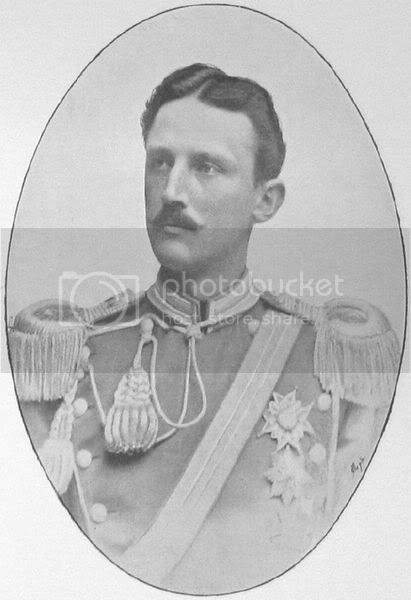 Sofia was the daughter of duke Wilhelm of Nassau and Pauline of Württemberg, The 6:th of Jun. 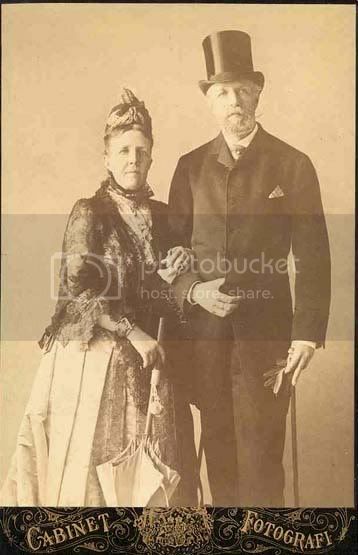 1857 she married in Biebrich with Crownprince Oscar of Sweden. 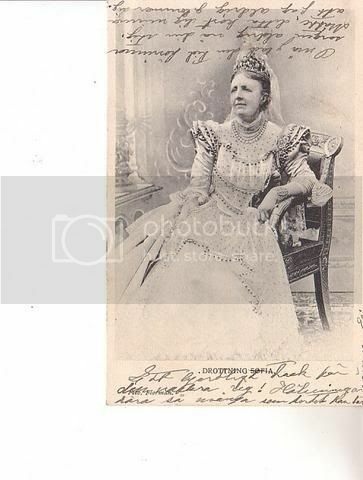 1872 she became queen of Sweden and Norway whereafter the crowning took place the following year. 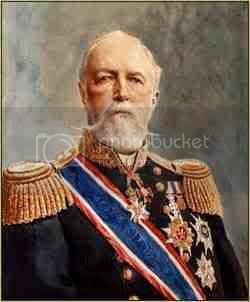 Queen Sofia was strong person with religious interest. 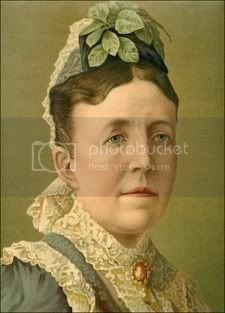 1877 she went under a large operation which forced her to withdraw from the public life for some time. 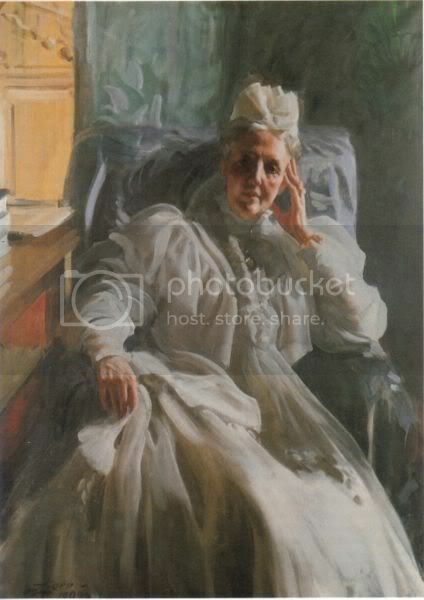 1907 she became a widow and 1913 she died on the 30:th Dec. at Stockholms castle. 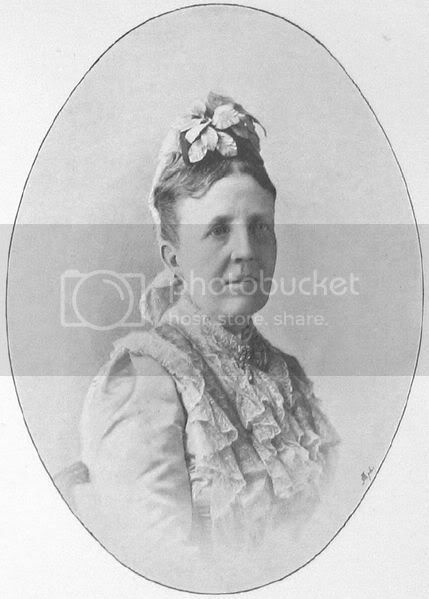 She spent a lot of effort on charity, she founded 'hemmet för frigivna kvinnor', Sophiahemmet and Kung Oscars och Sofias Guldbröllopshem. 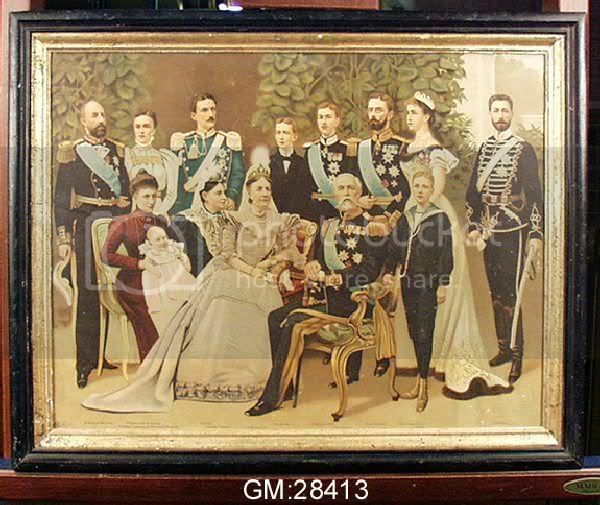 She got four children, the sons Gustaf, Oscar, Carl and Eugen. 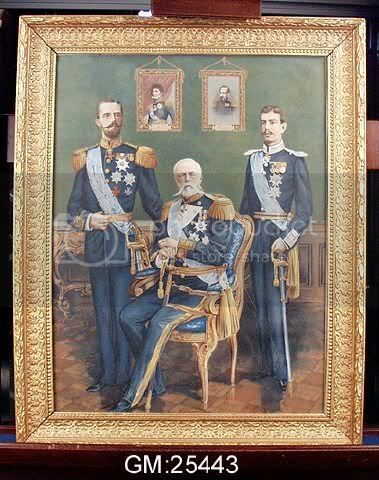 A picture of an old Oscar II and his wife Sofia. 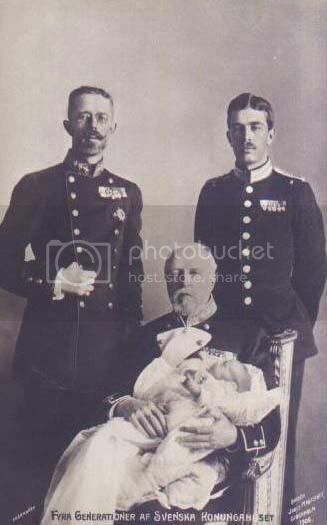 On the left his 3rd son Carl and his wife Ingeborg of Denmark. 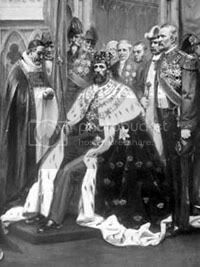 Queen Elisabeth of Roumania was not a halfsister of Queen Sofia. 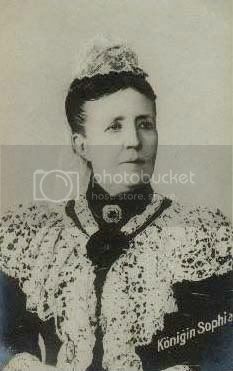 Her mother Fürstin Marie zu Wied was. Thanks Stefan, a slip of the keyboard I have changed it now. 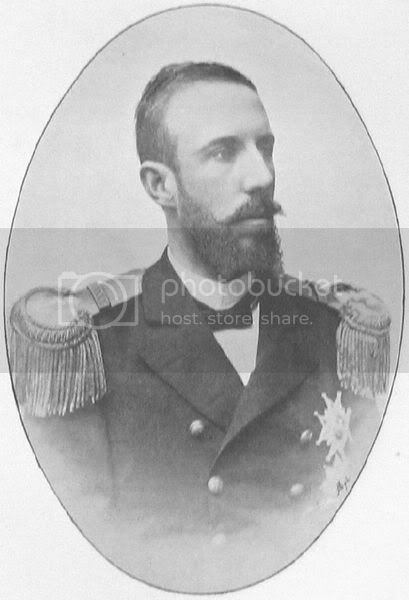 Marie of Wieds daughter-in-law was Princess Marie of The Netherlands btw, whose sister Louise was married to Oscar II´s elder brother King Carl XV.